The statistic shows gross domestic product (GDP) per capita in Luxembourg from 2012 to 2022*. GDP is the total value of all goods and services produced in a country in a year. It is considered to be a very important indicator of the economic strength of a country and a positive change is an indicator of economic growth. In 2017, the GDP per capita in Luxembourg amounted to around 105,863.23 U.S. dollars. 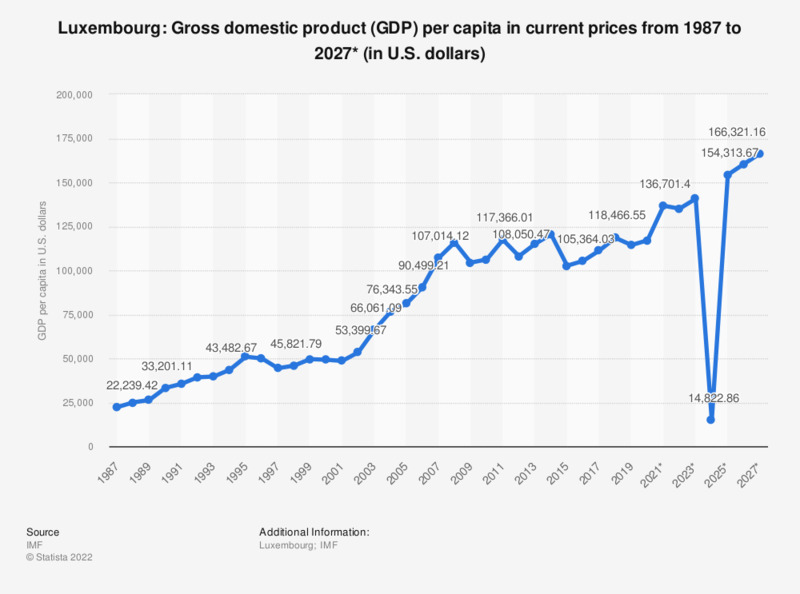 By the way, Luxembourg is the country with the largest GDP per capita worldwide as of 2015.